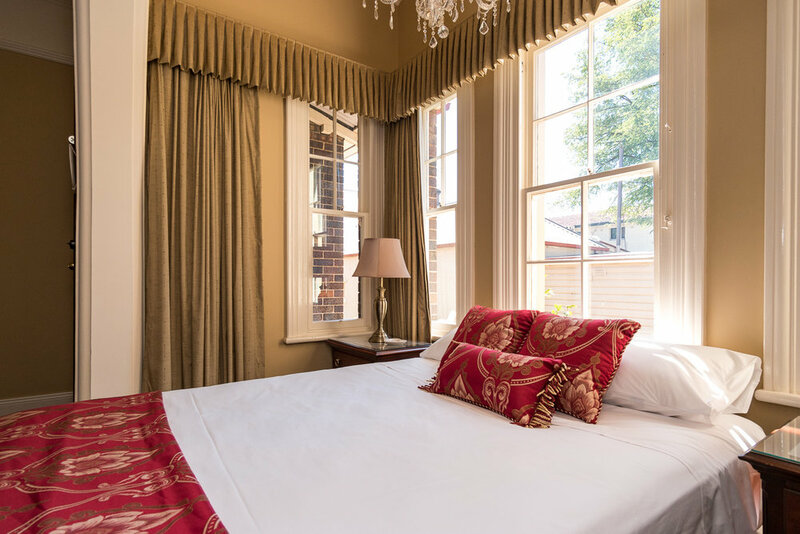 Luxuriously presented period style suite furnished with antique pieces and silk drapes. A grand arch and superb ceiling with two beautiful crystal chandeliers complete the ambience of the room. 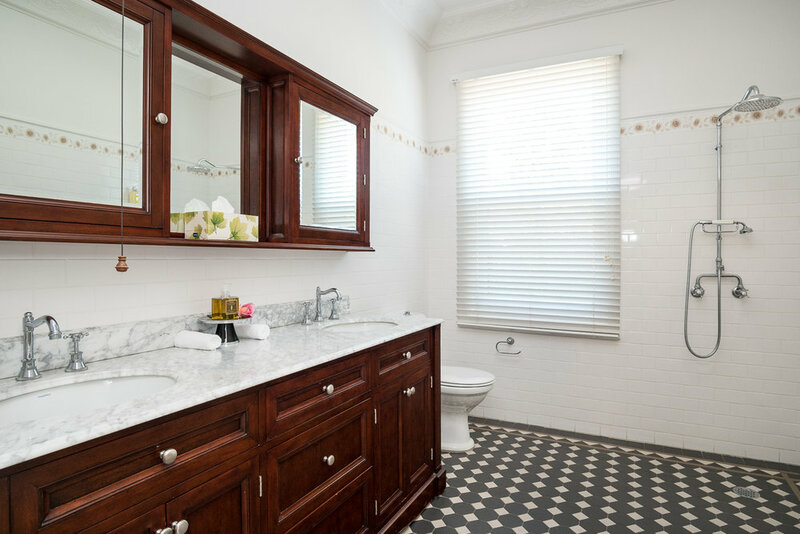 Included is a separate dressing room and a spacious Federation style ensuite bathroom furnished with French toiletries, as the perfect compliment. There is a separate tea and coffee preparation area with refrigerator.